ZIMPAPERS yesterday filed a constitutional application seeking the deletion of criminal defamation from the statute books, saying the law is undemocratic. 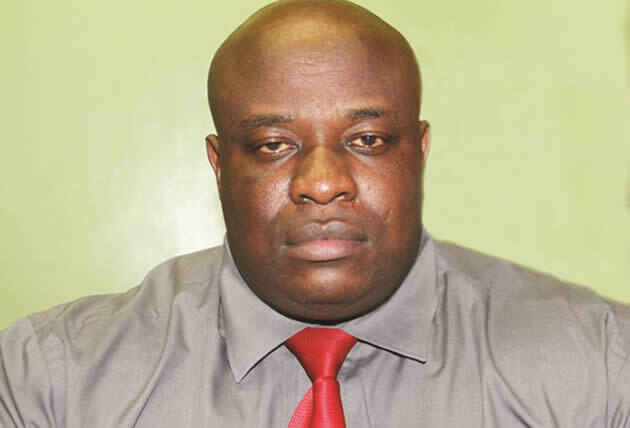 The Herald editor Caesar Zvayi, on behalf of the printing, publishing and broadcasting company, argued in the court papers that Section 96 of the Criminal Law Codification and Reform Act was unjustified in a democratic society and that it must be struck off. In a Constitutional Court application filed by Zimpapers’ lawyer Mr Terrence Hussein of Hussein, Ranchod and Company yesterday, Prosecutor-General Mr Johannes Tomana, Justice, Legal and Parliamentary Affairs Minister Emmerson Mnangagwa and the Attorney-General Advocate Prince Machaya were listed as respondents. Zvayi deposed a founding affidavit both in his personal capacity and on behalf of Zimpapers, calling for the abolition of the draconian law. According to Zvayi’s founding affidavit, Section 96 of the Code violates the people’s right to freedom of expression and freedom of media in terms of Section 61 of the Constitution. Zvayi said the law was not of general application as it targeted journalists and media houses. “If one has regard to the history of prosecutions, the law has rarely ever been applied to the general public, but has always been saved as a weapon to protect a very small section of society, namely those who are economically and politically well-to-do,” he said. “It has never been heard of in this jurisdiction that an ordinary herdsman in a remote village who has uttered a potentially defamatory statement to a fellow herdsman has been prosecuted for criminal defamation. Zvayi indicated that the law was not justifiable considering that there were many other laws regulating the media. “This law adds to a number of laws which regulate the media and journalists,” he said. “As we have previously indicated, the law of defamation is a delicti to which the Zimbabwean public have regularly and easily resorted to. “In addition to this delicti, the Access to Information and Protection of Privacy Act (AIPPA) created the Zimbabwe Media Commission, which has powers to sanction media houses and journalists and also deregister them for any malpractice, including defamatory untruths. Zvayi said with all the remedies available to an aggrieved person, the additional sanction of Section 96 of the Criminal Code was not justifiable in the country. He said Zimpapers journalists were operating in fear of being prosecuted. Zimpapers, argued Zvayi, noted that the Constitutional Court had since ruled the law to be unconstitutional. “I am advised, which advice I accept, that Section 96 previously declared unconstitutional, has not been saved by the new Constitution,” he said. Last year the Constitutional Court ruled in favour of Standard journalists Nevanji Madanhire and Nqaba Matshazi and declared the law to be unjustifiable in a democratic society. The court’s finding was made in terms of the former Constitution and the decision sparked confusion with interested parties interpreting it differently. That prompted the court to order the State to file its detailed address on the relevance or validity of the law in terms of the new Supreme law. Chief Justice Chidyausiku gave the prosecution up to 30 days to file its argument regarding the validity of the law. While the case was still pending, Media Institute for Southern Africa filed a fresh application seeking the striking down of the law in terms of the new Constitution. Zimpapers’ application was mounted at a time the court is seized with all the above cited pending matters.